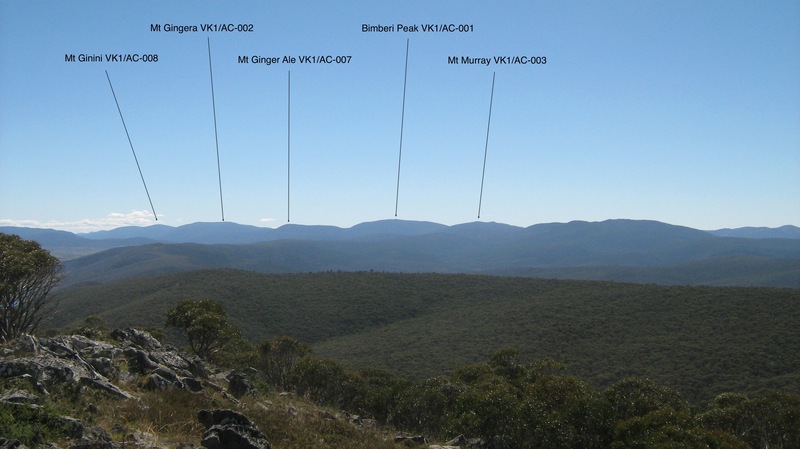 Today Al VK1RX and I plan to activate 3 summits in the vicinity of Wares Campground, Mt Nungar, Blackfellows Hill and an unammed peak known fondly as ‘March-fly Mountain’ named by Andrew VK1MBE after the huge biting March-flies. After a restful night sleeping on the ground, (not funny) we will drive to Perisher Valley and climb Mt Perisher. 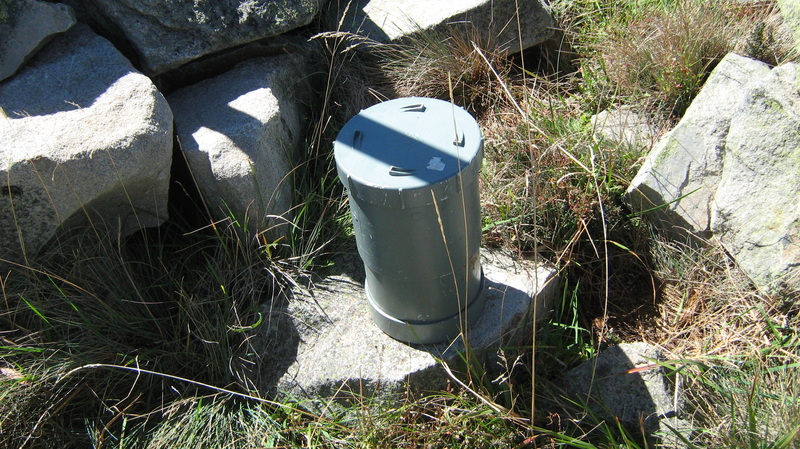 Weather on the summit: Light winds and a pleasant 16 degrees C. Water consumption 2 litres. 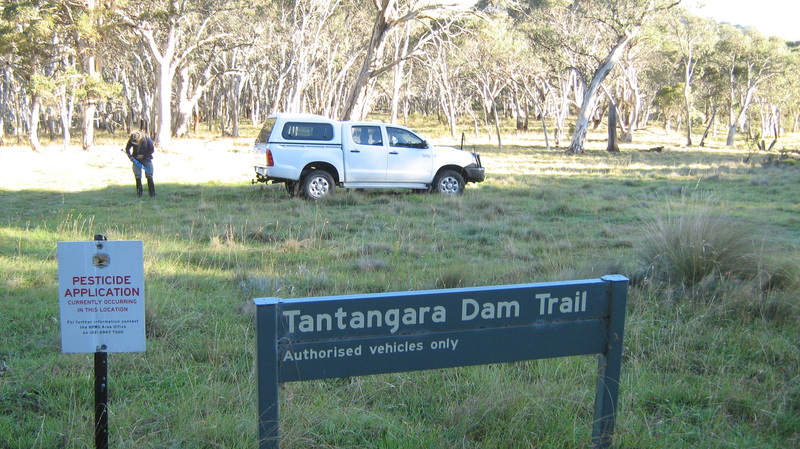 Mt Nungar summit is accessible from Tantangara Road intersection with Tantangara Dam Trail. A month or so ago I was tipped off by a well-known local resident, to look for a tree with blue paint on the trunk facing Tantangara Road. Al and I walked 200 metres north-east along Tantangara Road to find the tree, sorry the photo has a slight blur. The ascent 369 metres over 2.3 km (blue track) is a steady climb following a spur feature running south to the summit taking 1 hour, 15 minutes. 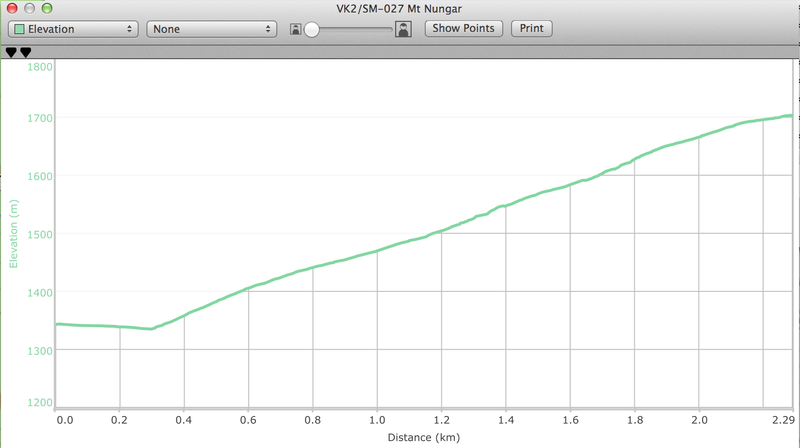 Average gradient over 2.3 km is 15%, average walking speed was 1.8 km/h. 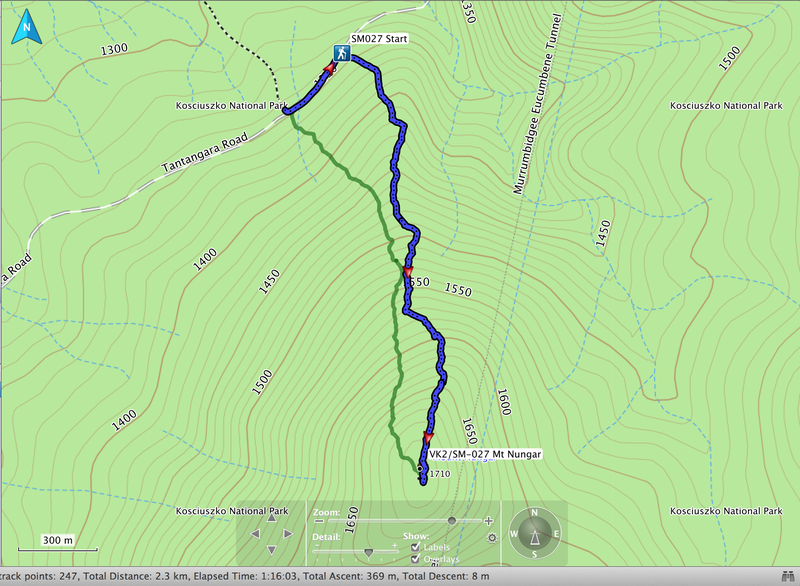 The dark green coloured track is our descent path 1.7 km taking 38 minutes. 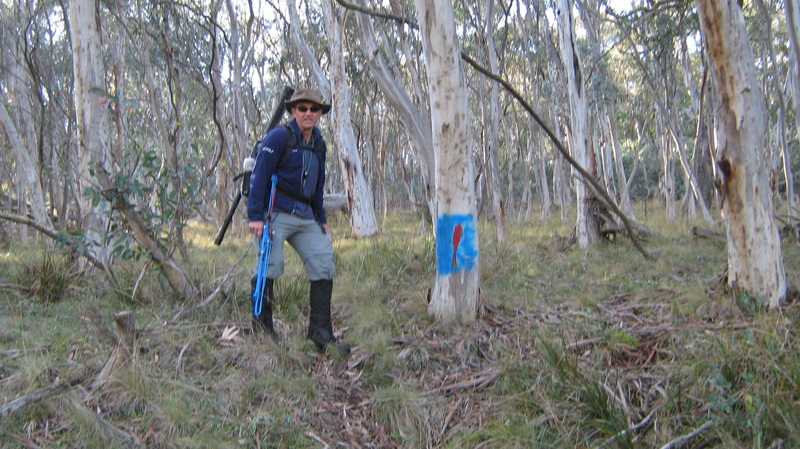 After parking the car at Tantangara Dam Trail we walked 200 metres north-east along Tantangara Road to find a tree painted with a blue mark at S35.82506° E148.64706° or UTM 55 H 648779 6034203. This is the start of the ascent to Mt Nungar summit. At the summit. 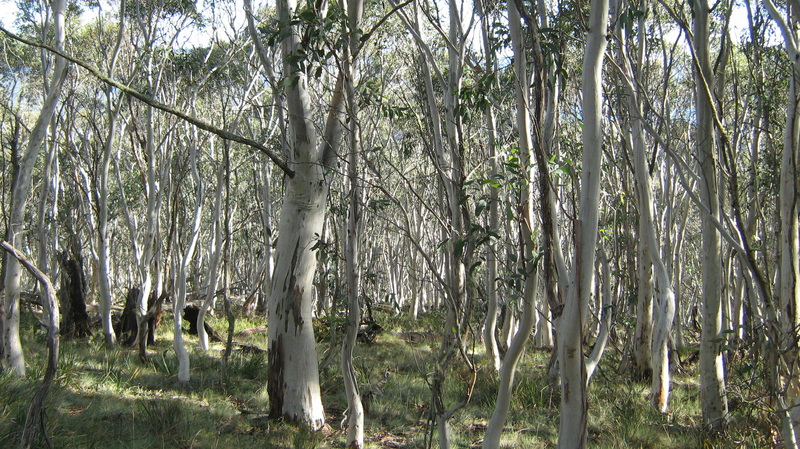 The summit is clear of trees and offers amazing panoramic views in all directions. I opened the geocache to find a log book. 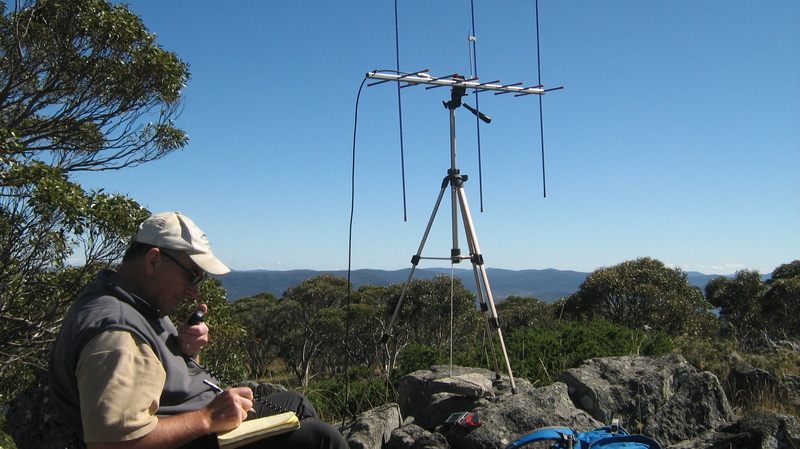 I made a note of two amateur radio operators VK1RX and VK1AD taking advantage of the summit’s height to work amateur radio stations in Canberra. 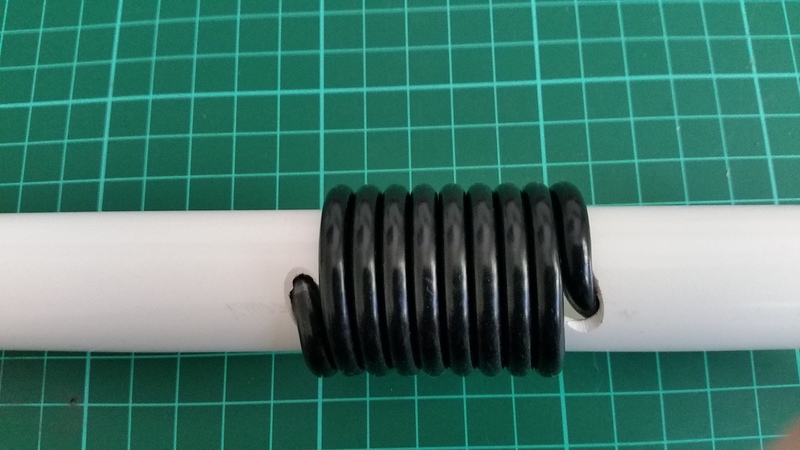 🙂 Watch out for the ‘O’ ring seal in the cap, the inside of the tube needs to stay dry to protect the look book during winter snow falls. 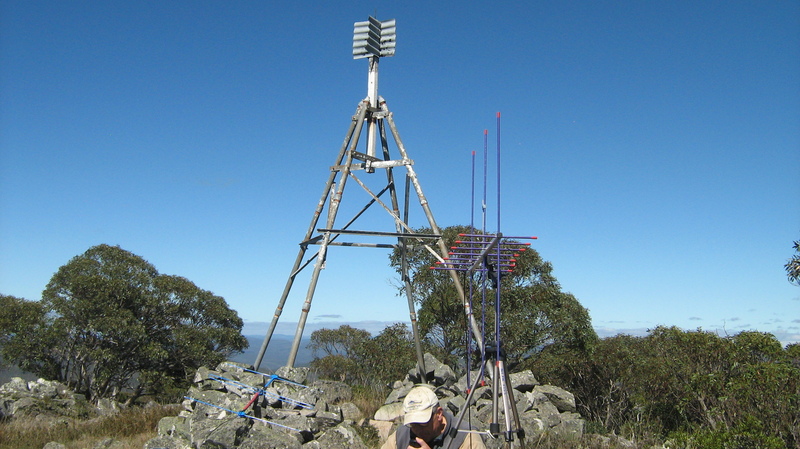 Dual band Yagi antenna aimed at Bimberi Peak (1912 metres ASL) for a signal path to Canberra at a distance of 80 km bearing 35 degrees from Mt Nungar. 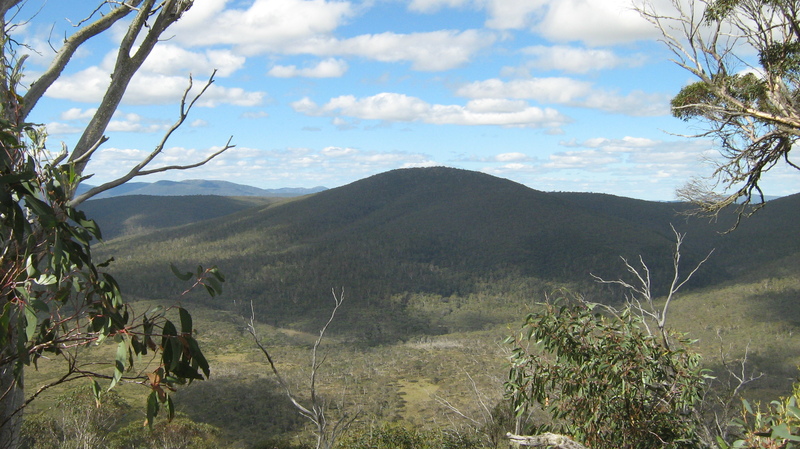 Canberra GPO at 640 metres ASL, is 52 km north-east of Bimberi Peak. VK1AD SOTA shack at Mt Nungar. 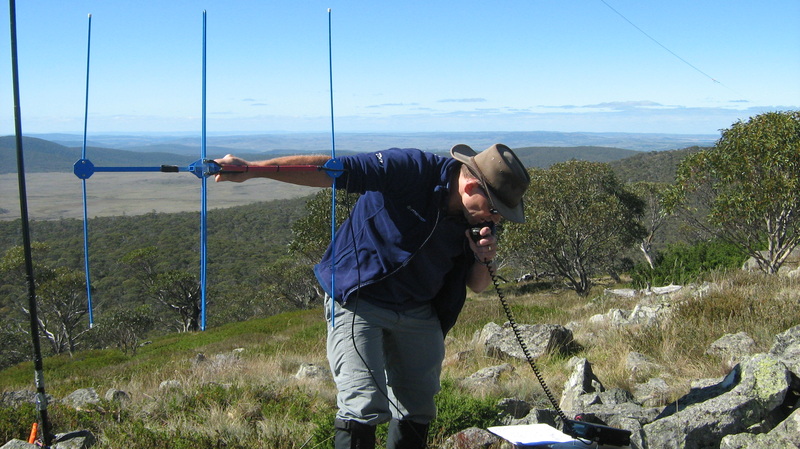 Great action shot of Al operating his Icom IC-706 on 2m while pointing his 3el Yagi in the direction of Canberra for a 2m QSO with Matt VK1MA. 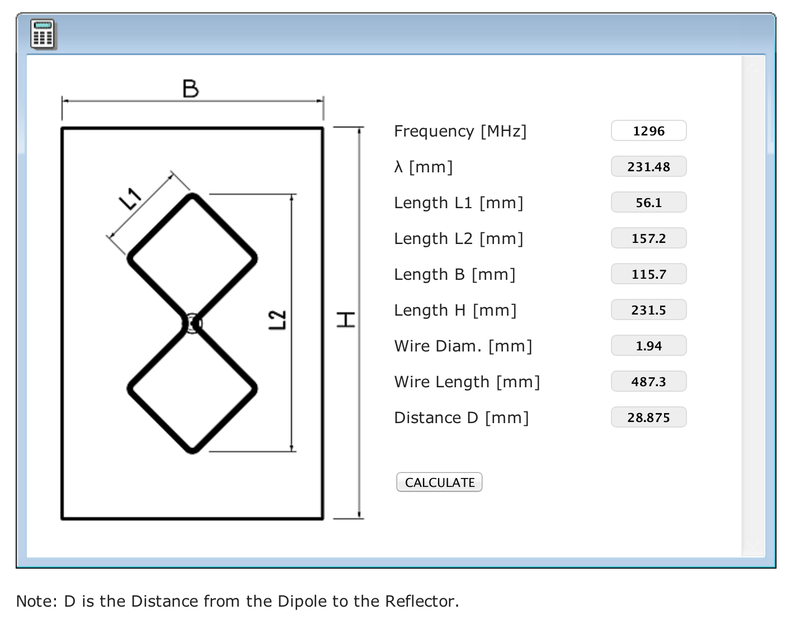 Matt’s VHF antenna is vertically polarised. 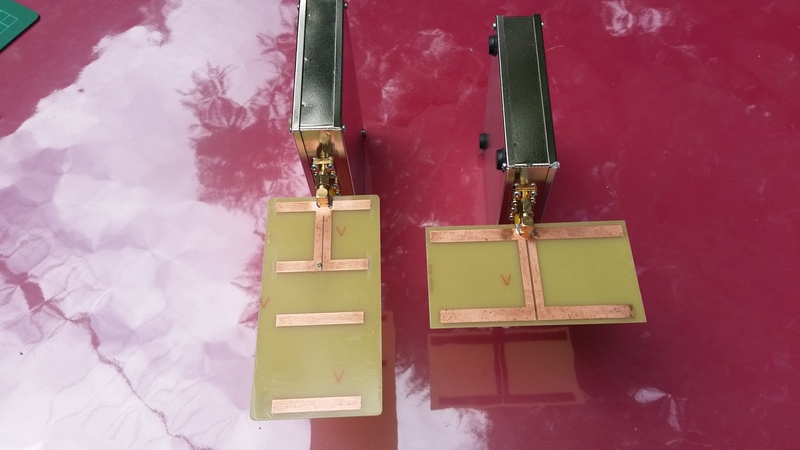 view east – this is not a pose for the camera, it’s the real deal! Al VK1RX working Matt VK1MA in Canberra. View North. 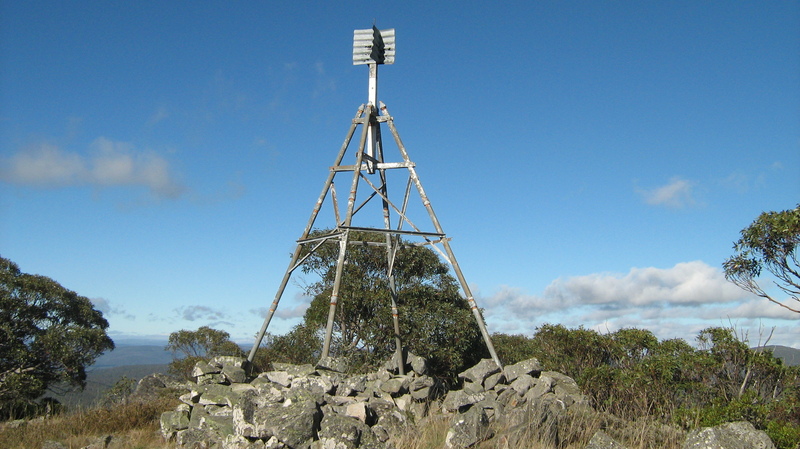 The 70cm signal path to Canberra (80km) is over the gap between Bimberi Peak and Mt Murray at 35 degrees. The gap between the two mountains is known as Murray’s Gap. 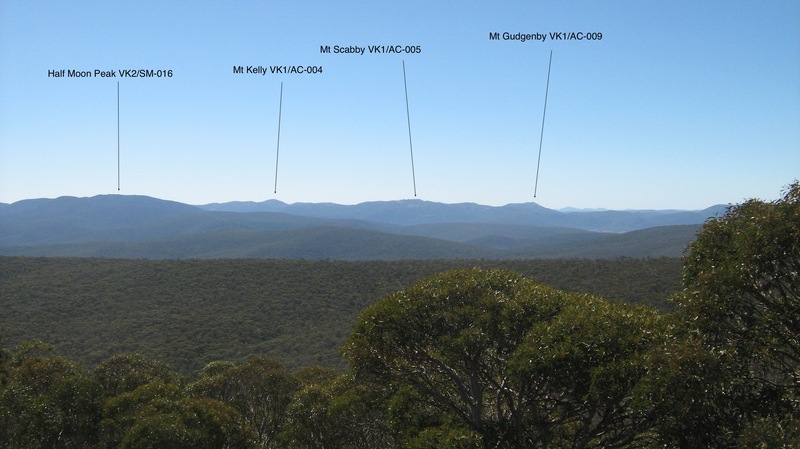 view north – looking at the ACT/NSW border peaks VK1 and VK2 Snowy Mountains regions. 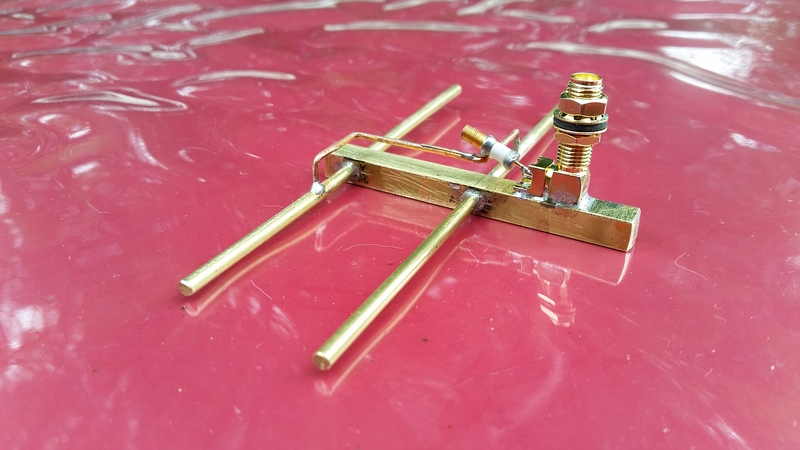 After setting up my station and helping Al to deploy the HF antenna, I started the 70cm activation at 2310 UTC with a confirmed contact with Dimitris VK2COW followed by Rob VK1KW, Tony VK1VIC for a second S2S from Mt Ginini and later Matt VK1MA for four unique chaser contacts, thanks guys. 🙂 As you can see from the log, Al and I didn’t let the first S2S contact with Tony VK3CAT at VK3/VE-016 pass by. 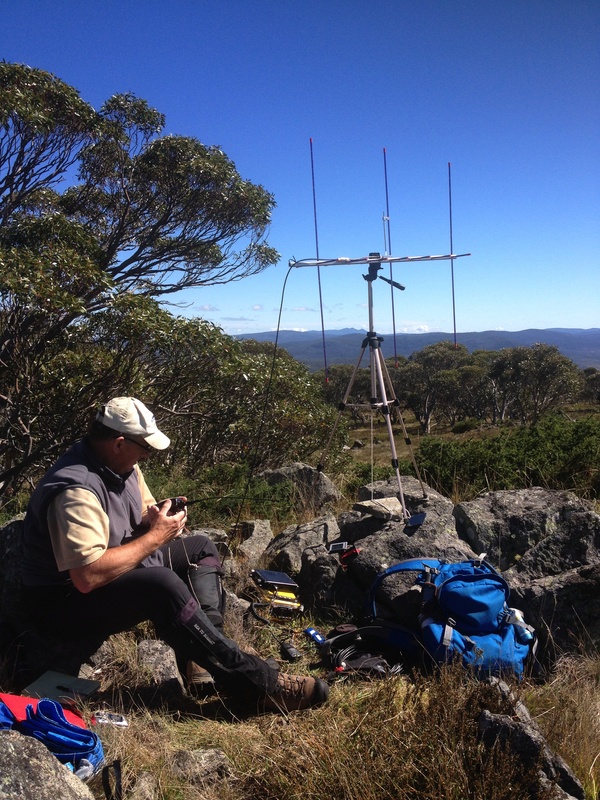 Thankfully we just scraped in the contact with Tony on 40m 7.090 MHz, 40m signal propagation to Mt Nungar was poor. Excellent again Andrew! Looks like it was a steady climb to the summit and interesting to see the geocache up there. Your tripod and antenna looks a little less cumbersome than mine. Your tripod appears to be for a camera. 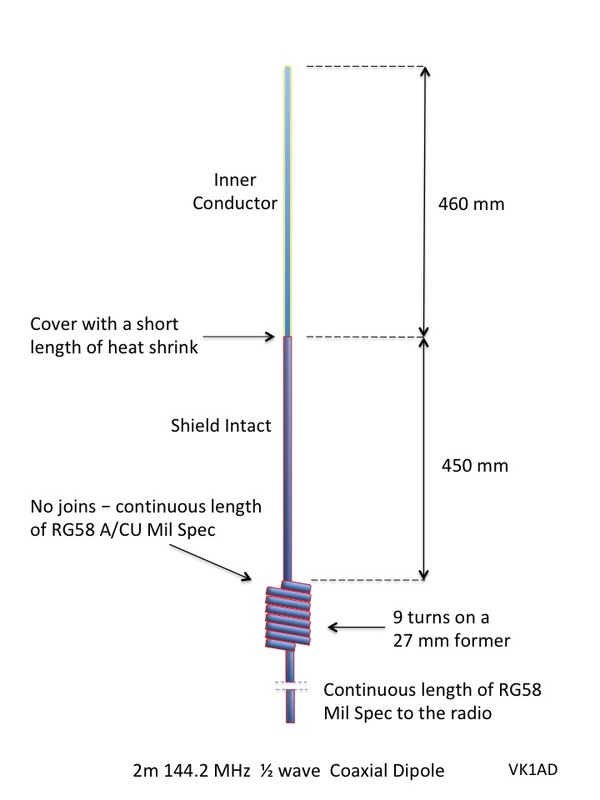 I am interested in how you secure the antenna boom to the tripod? Paul (VK5PAS) has a tripod and antenna and we were discussing mounting methods last Friday night (see VK5BJE.com for my setup). Any clues/ideas you might provide will be welcome. I enjoyed your description of the trip. 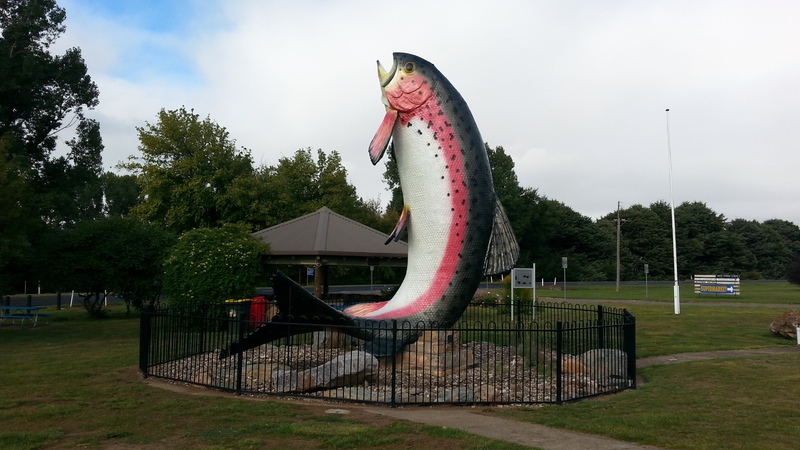 I have driven past the big trout: must keep the peak in mind for a future excursion. That will be really good. I look forward to seeing you work.